BlackBerry had come up with a Porsche themed smartphone namely the Porsche Design P’9981 costing a little more than your usual smartphones. Now a new car company themed BlackBerry device has been spotted. 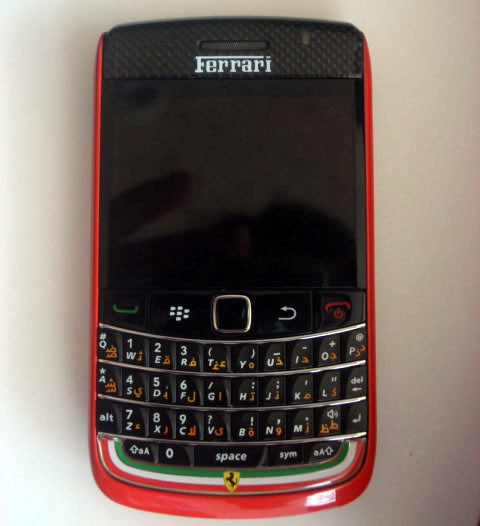 This time it is Ferrari who changes the colours on the BlackBerry Bold 9700. The device does seem legit and the source says that it will be a limited edition, so you can expect a limited number of units available in the market. 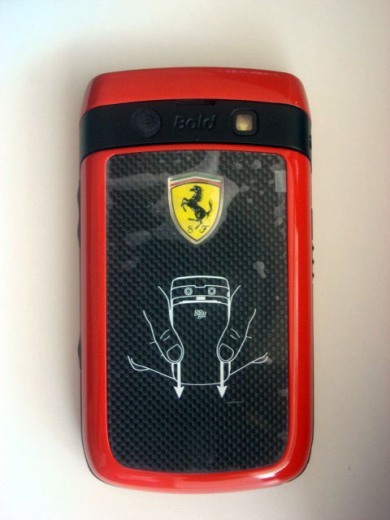 Also there isn’t anything special about the handset except the Ferrari colours, a few badges and a carbon fibre like finish around the handset. There isn’t any info available about the smartphone regarding price or availability. So is this BlackBerry’s new strategy to survive in the market? Because launching limited edition handsets won’t be enough to survive in the smartphone world.